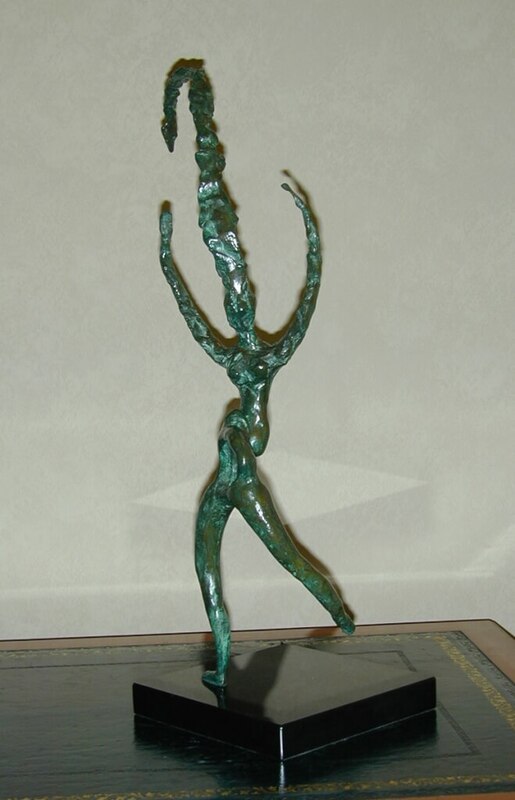 This was one of my earliest art works and I had the temerity to take the little bronze down to Dame Elisabeth Frink’s home in Dorset, to ask her opinion and advice. It was bad timing as her husband Alec had just been diagnosed with cancer and it was not long before he succumbed and died. We corresponded during this difficult period and she told me she was following my career in sculpture and gave me various pieces of advice. She also seconded my application for membership of the Arts Club. It was not long before she too was undergoing treatment for a malignancy which later took her life. I suspect this terrible tragedy prevented the RA from having their first woman president. She was very well respected and I think well considered at that time for this unique and most important position in the art world. We lost a wonderful human being far too young. A seriously important artist, I remember her very, very often. As a member of the Arts Club and a regular visitor to the RA, walking from Green Park station, I regularly pass her ‘Horse and Rider’ on the corner of Dover Street and Piccadilly and pay my respects to her memory. The Rite of Spring represents the Dance of Life and is joyous. 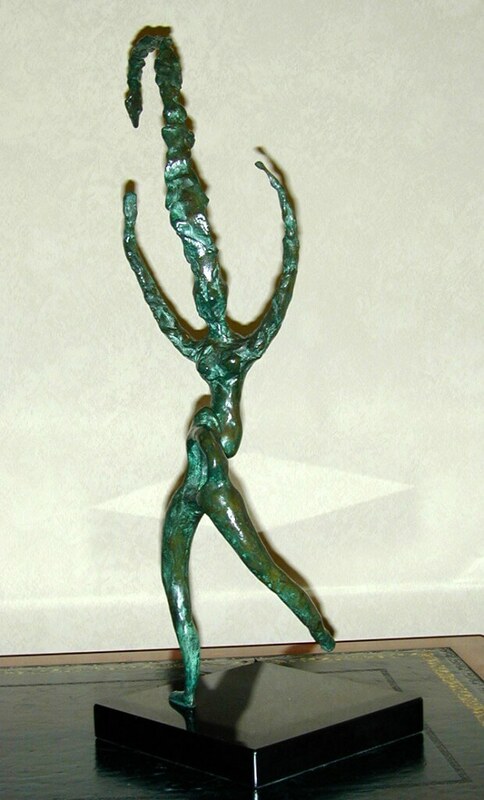 It is a bronze edition of 8 and there are 5 castings still to make. I have one in my studio for sale.